Dead inventory or dead stock is nothing new to vendors and retailers. 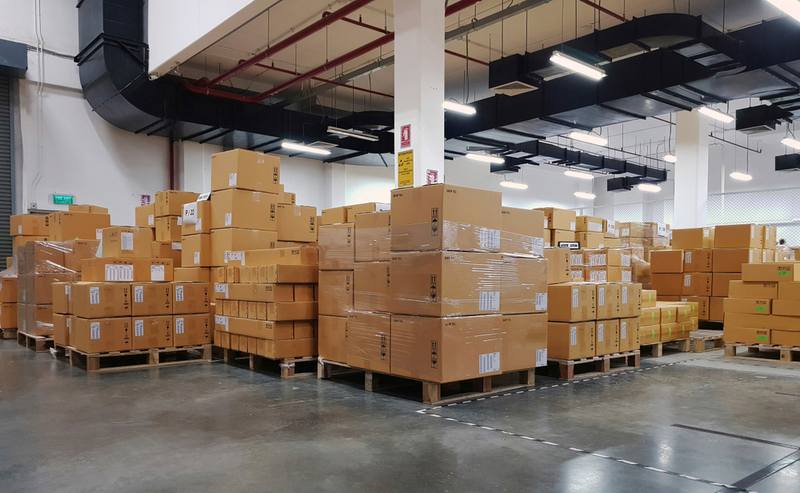 Dead inventory can arise for several reasons such as retail seasonality, late deliveries or possibly product production errors in need of correction. It is talked about often and by many but addressing the problem and finding solutions can send you into a frenzy when your cash flow is impacted. Dead inventory is only one of the facets that the creative team at Quality Corrections & Inspections has been helping vendors and retailers with for countless years. No matter what type of inventory you have, there are a variety of customized product rework and recovery solutions to your problem. From clothing to boots, heaters to toys, Quality Corrections & Inspections has found a variety of creative solutions to help companies address inventory management challenges and to generate cash flows on inventory investments. A Big Box retailer purchased 150,000 pair of athletic shoes that were merchandised in all their nationwide stores. The shoes were selling extremely well because they look identical to a well-known brand. However, the well-known brand learned of their existence and sent a “cease and desist” letter to the retailer for patent infringement. In this case the athletic shoes were recalled from stores and sent to QCI’s east and west coast facilities. QCI technicians were immediately able to augment the physical looks of the shoe so that they no longer looked identical to the well-known brand and quickly turned around the inventory to the retailer’s multiple distribution centers across the US. A late shipment and a cancelled P.O. resulted in a jeans vendor with 50,000 pairs of denim pants sitting idle in a warehouse. The vendor that made and “sold” the jeans now had a dilemma but had a potential buyer if they could get the jeans rebranded quickly. QCI was of assistance to this vendor who wanted the denim pants to be rebranded for sale under another name. QCI removed old tags, labels and logos as needed making the jeans ready for sale under a new name. The vendor was then able to market them to the new buyer with new labels. With 4,800 men’s long sleeve shirts sitting in a warehouse, and buyers only wanting to talk to about “new” spring/summer styles despite offers to discount the merchandise the vendor in this case had considered liquidating for pennies on the dollar or discarding the merchandise altogether. In this case, QCI proposed to alter the sleeves to the manufacturers specifications and turn them into short sleeve shirts. The vendor was ecstatic and able to sell them for the current summer season. A high-end women’s retail store had been merchandising the same pair of shoes for three consecutive summer seasons. Customers were starting to notice their existence and although the shoes were beautiful, they were just not selling, and they were too costly of an item to sell off to a discount store rendering it as dead inventory. The shoes were very brand specific with their name lavishly embossed on the bottom of the leather sole as well as on the insole. The retailer consulted with the technicians at QCI on the complexity of the design and then made the decision to have them rebranded and to add some new ornamentation to the upper. With the modifications, the style was now in favor again with current trends and allowed the retailer to successfully sell the shoes in stores for the next retail season. Our rework project analysis service is free – you have nothing to lose by letting us know about your repair or restoration issue.